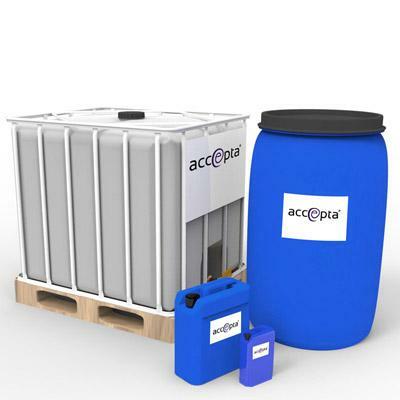 Accepta 2578 is a high performance, activated stabilised bromine biocide in liquid form, scientifically formulated for use in cooling towers, other open re-circulating cooling systems and industrial pasteurisers. Accepta 2578 is a broad spectrum stabilised bromine based oxidising biocide, it demonstrates superior biofilm removal to chlorine and chlorine / bromine and is highly effective against Legionella. Accepta 2578 can also be used as a disinfectant for reverse osmosis plant. Do not mix Accepta 2578 with other products unless advised by your water treatment representative.